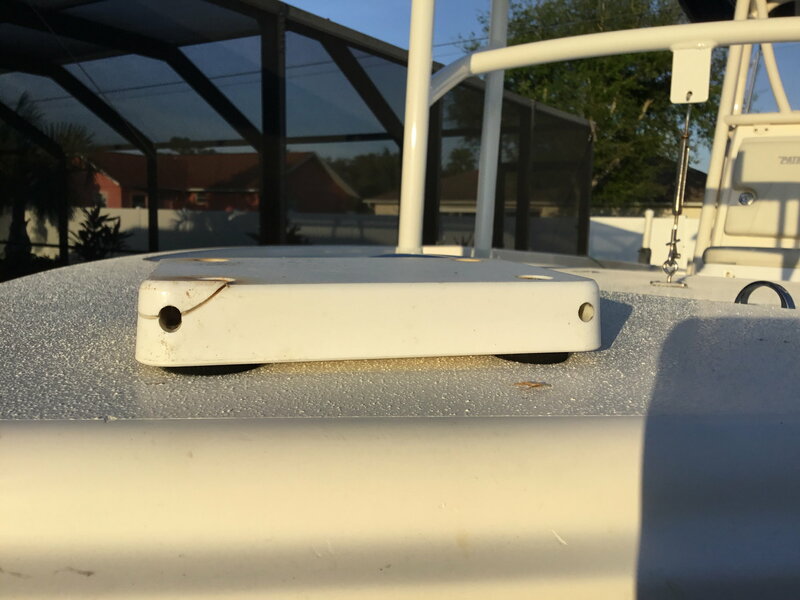 I'm getting ready to mount a Minn Kota Terrova with an RTA-54 heavy duty QR plate and the area under the plate is curved so two opposite corners have a gap of 1/8 to 3/16". I've googled and searched here for every term you can think of and can't find anywhere that anyone has explained what they've done successfully. I though about grinding the bottom away until it fits the curve. I've seen pictures of washers underneath but then there is no contact. What works? Last edited by VaporTrail1; 03-13-2019 at 05:37 AM. Can you provide pictures? Sounds like some sanding/grinding is in your future. They used hard washers to slightly raise the puck and snugged tight to not distort the puck with nylocs. It works just fine however they used the wrong mount for my motor. I will have to redo this mount the same way they have done it. I think I would use softish rubber spacers, personally. This is exactly what my boat has done, it fits perfectly and tight. I did not really know how to exactly describe the material by typing. They are very firm but they do flex and squash down once tightened. On my Sterling someone used hard plastic washers and it wore the imprint of the washer into the gel coat. Would it distort the puck if its tightened down all the way as is? If not just use some white caulking like 4200 to fill the gap and hide it. rblochli and VaporTrail1 like this. Pretty much everyone I know takes theirs off when covering/storing their boat. IMO there's no good reason NOT to use the quick release. N2theblue and SHE GONE like this. I don't understand your suggestion. How do you mark it so you know exactly how much to sand and where? I used an aluminum piece under mine to through bolt it. What you do is get the plate where it goes then find the largest gap to deal with. 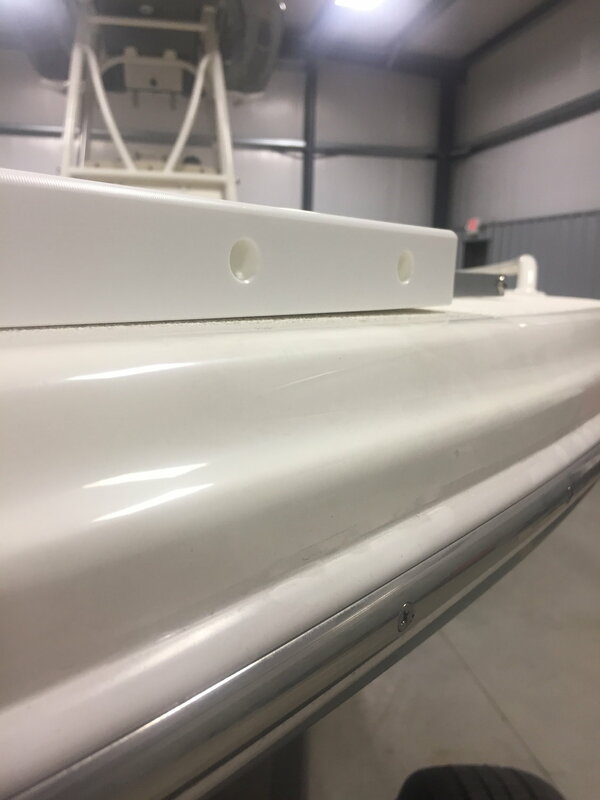 Find a spacer that high and hold it exactly vertical. 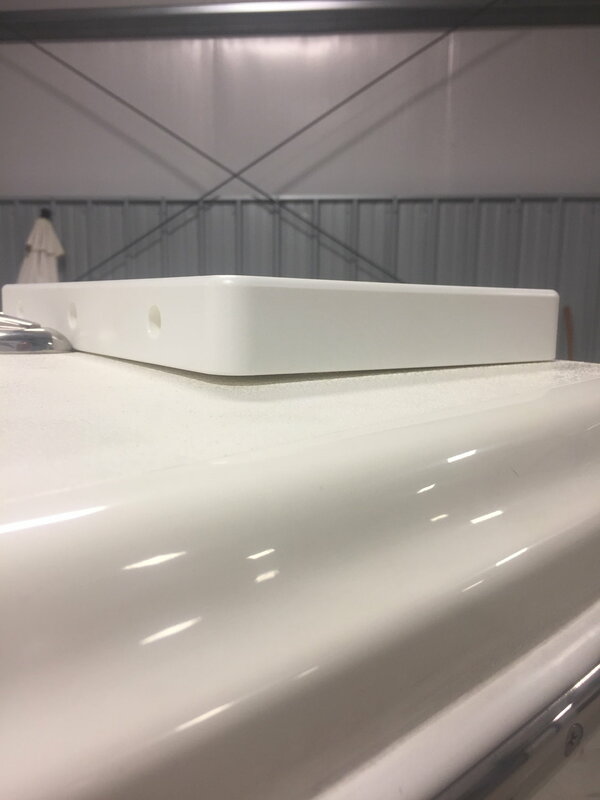 Work your way around the whole plate marking the top of the spacer you have and it will follow the contour you need grind out. If you use a scribe it will be more accurate than a marker. The more care you are the better it will turn out. This would only work if you have a small gap or you would take too much away. I’d say a 1/4” or less.